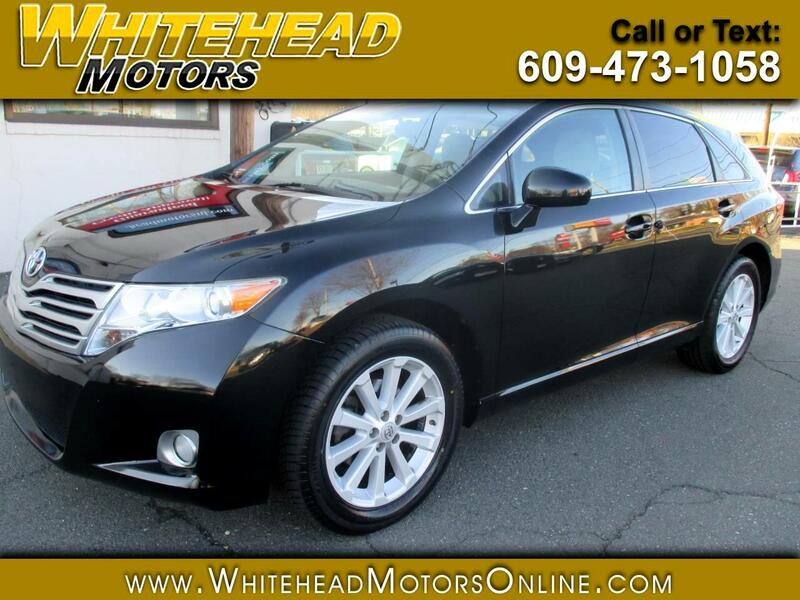 Experience the allure of our Accident Free 2012 Toyota Venza LE AWD shown in Black. Powered by a 2.7 Liter 4 Cylinder that offers 182hp while paired with a smooth shifting 6 Speed Automatic transmission. This All Wheel Drive combination scores near 25mpg on the open road. The exterior is distinguished by a graceful low roofline, chrome accents, and a rear lip spoiler. Our family-friendly Venza LE has a thoughtfully designed interior that has colossal space for five adults. The backseat even reclines for ultimate comfort! You'll have plenty of storage cubbies, a large console bin, steering wheel mounted controls, dual-zone climate control, and other conveniences that today's families demand. A 3.5-inch multi-information display communicates with Bluetooth and an audio system with available satellite radio/ USB/iPod interface to keep everyone connected and entertained as you coast down the road onto your next adventure. You'll arrive safely even if that road is less than ideal thanks to All Wheel Drive and stability control. Airbags and anti-lock brakes will also safeguard you. A perfect blend of comfort and utility, this car needs to be part of your family! Print this page and call us Now... We Know You Will Enjoy Your Test Drive Towards Ownership! Get Approved In Minutes at Whitehead Motors. We Make Car Buying Easy. Message: Thought you might be interested in this 2012 Toyota Venza.